Shake Shake Shake is the culmination of an 8 year dream of brothers Gordon and Steven Naccarato. "We wanted to build a timeless burger place, not featuring chef-y bistro burgers with exotic ingredients but a modern take on the place that served diner / drive-in style burgers we ate as kids on a family roadtrip." 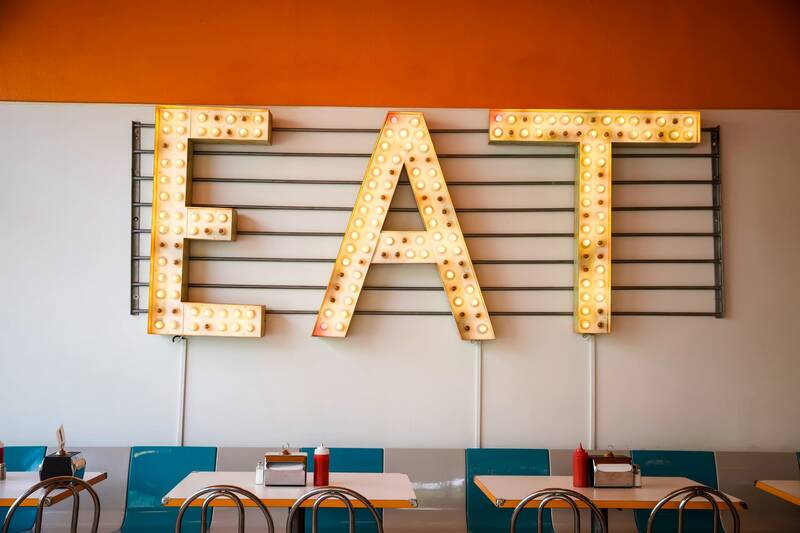 The Naccarato's partnered with Tacoma gallery owner / artist Robert Stocker to form Shake Shake Shake, LLC., and together built their retro modern 1940's inspired burger cafe. "A glance inside Shake Shake Shake reveals what happens when an artists design a restaurant. The decor is sharp, the colors striking - muted blues against electric orange. An oversized sign - made by Stocker - declaring "EAT" anchors the dining room. The spiffy retro dining chairs are re-purposed from the old Elks Club bowling alley." Other details include a custom zinc horseshoe milkshake bar that features a tangerine orange Multi-Mixer, tables have been given new life with a coat of "Ford White" automotive paint and circles in their signature colors. · "This is a fun place but we take our burgers very seriously!" said Stocker. The Tacoma News Tribune - End of the Year best of 2013. - Favorite Burger Moment- Shake Shake Shake's Famous Hickory Burger. - Must Try's - Shakes Miso/Butterscotch & Salted Caramel, Mocha Banana and the Tiger Shake. Tacoma Weekly - Voted "Best Restaurant to Take Kids"
Thank you Tacoma News Tribune and Tacoma Weekly! We are working hard to make Shake Shake Shake a special place and appreciate the recognition. Available after 3pm, enjoy FREE PARKING at Shake Shake Shake! Enter on 3rd Street, one block up in Stadium High School's parking garage.